1 Are you ready to use Robi 4.5G Network? Robi 4G Active Code! How to check Robi 4.5G SIM Enabled by USSD Code? Hello Dear, Welcome to Robi 4.5G Active Code, Status Check and How to collect Robi 4G Enabled SIM with the Robi 4.5G Free Internet Offer. 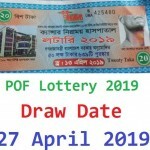 On the month of 20th February 2018, the Bangladeshi top three telecommunication company Grameenphone, Robi, Banglalink launch 4G service in Bangladesh some place. So, people are searching how to check my Robi 4G or 4.5G Enabled or not Enabled and many people still now collect Robi 4G Enabled SIM. On the previous content, we will talk about how to collect Robi 4G Enabled SIM? So, in this content, we will talk about only how to check Robi 4.5G Status check by USSD Code. That means you Robi SIM 4.5G Enabled or Not Enabled and your device also eligible to browse 4G Internet. So, staying with us and follow the below content. At Present, there is no way to convert Robi 2G/3G SIM to Robi 4G SIM by Dialing USSD Code. If you want to enjoy Robi 4.5G Super Fast Network, you need to replace your Old Robi SIM from Robi Customer Care. 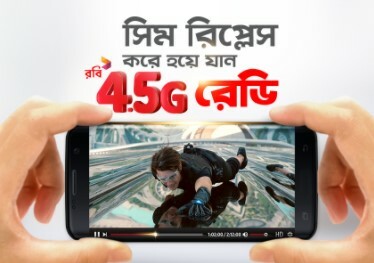 After collect Robi 4G SIM, You eligible to enjoy Robi 4.5G network by 4G support device. Are you ready to use Robi 4.5G Network? If you want to use Robi 4.5G Network, you must need a Robi 4G Enabled SIM and 4G support device. You can also check your Robi SIM and devices are eligible or not eligible to use Robi 4.5 Network by Dialing USSD Code *123*44#. Thanks for staying with us a long time and visiting Robi 4.5G Activation Code, Status Check and Internet Offer content. If you have any question about the Robi 4G SIM Check, Robi 4G Enabled Coverage Map and collect system Robi 4.5G SIM? Just comment here. We reply as soon as possible.